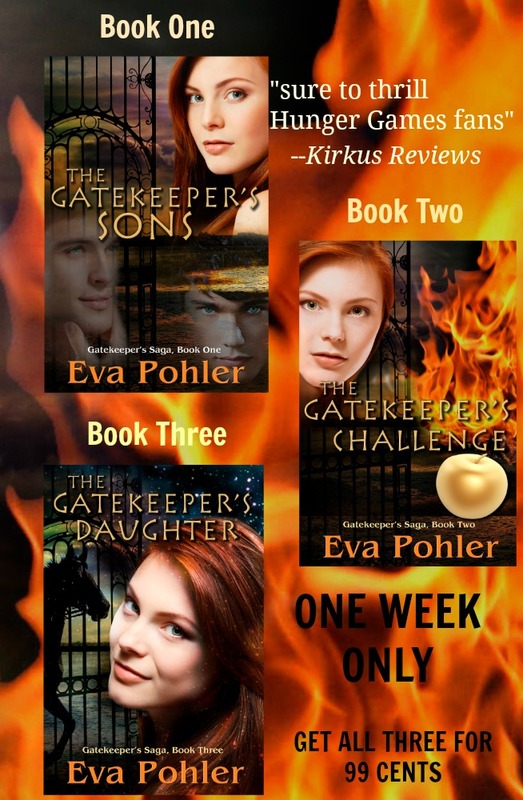 For one week only, from June 7th to June 13th, the digital box set of The Gatekeeper’s Trilogy, usually $5.98, can be downloaded from any ebook retailer for 99 cents! This series was initially written as a trilogy and can end with the third book, or you can keeping reading through all six. This box set includes the first three books. If you want to keep reading, come back here to follow Therese’s adventures as she strives to become a goddess in the ancient Greek pantheon. After you download your copy of The Gatekeeper’s Trilogy, be sure to enter this international rafflecopter giveaway, which ends at midnight on June 13th. You can enter daily! Then be sure to come back to this page to find out if you won and to get the other three books in the saga!